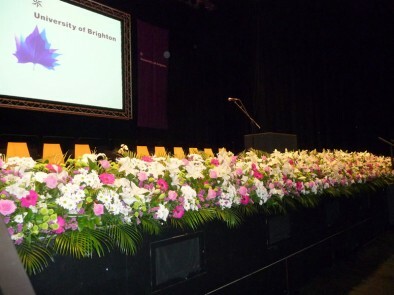 21 Metres of scented summer flowers, deck the stage at Brighton Dome for the University of Brighton’s award ceremonies. This event lasts for 5 days every summer and winter and we have been privileged to do them since 2004. Along with the University of Sussex and the Open University.